Rhonda represents policyholders in coverage cases nationwide, including cyber liability, third-party tort and environmental liability claims, first-party property damage and business interruption claims, directors & officers liability, errors & omissions liability, fidelity bonds and alternative risk transfer arrangements, including for employee benefit plans. She has served as lead counsel in multiple jury and bench trials, argued before the highest courts of several states, and appeared in two cases before U.S. Supreme Court. Through jury verdicts, summary judgment decisions and confidential settlements before and during litigation, she has recovered hundreds of millions of dollars for policyholders, including nine-figure recoveries. Business Insurance, 2018 Legal Team of the Year. 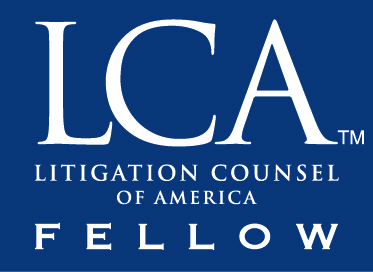 Selected as a Fellow in 2018 by the American Bar Federation of the American Bar Association (an honor reserved for only 1% of attorneys in a jurisdiction). Selected as a Fellow in 2017 by The Trial Lawyer Honorary Society of the Litigation Counsel of America. "The Best Lawyers in America,” selected by peers for inclusion continuously since 2011 (Washington, D.C) (Insurance Law). 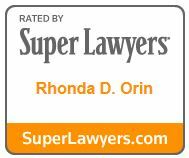 "SuperLawyers," recognized continuously since 2011 (Washington, D.C.). "The Legal 500 US," in 2011 and since 2017 for Insurance: Advice to Policyholders. Named "Star of the Bar" in 2004 by the Women's Bar Association of the District of Columbia. Certain Underwriters at Lloyd's London et al. v. National Railroad Passenger Corp. (“Amtrak”), et. al., pending before U.S. District Court, Eastern District of N.Y. Lead counsel to defendant Amtrak in declaratory judgment action filed by London insurers regarding employee personal injury and environmental liability claims. Received a multi-million-dollar verdict in a jury trial regarding environmental liabilities; resolved disputes with many parties to the litigation. National Railroad Passenger Corp. (“Amtrak”) v. Arch Specialty Ins. Co. et al. (U.S. District Court, S.D.N.Y.). Lead counsel to plaintiff Amtrak against first-party property insurance companies, seeking coverage for property damage and business interruption losses following Superstorm Sandy. Ten months after filing action for declaratory relief, settled with the primary layer ($125M limits) and filed expedited appeal regarding excess ($550M limits). Action was returned to District Court on remand. Fuller-Austin Insulation Co. v. Fireman’s Fund Ins. Co. (Los Angeles Superior Court). One of three trial counsel in four-month jury trial of pre-packaged asbestos bankruptcy proceeding. Achieved $188.7M verdict for policyholder; responsible for portion that was sustained through all appeals, including by the California Supreme Court. See "Top 10 Verdicts," National Law Journal (January 2004). In re ASARCO LLC, et al. (U.S. Bankruptcy Court, S.D. Tex., Corpus Christi Division). Lead coverage counsel to ASARCO Inc. prior to its filing of bankruptcy petition; lead coverage counsel to ASARCO as debtor-in-possession throughout the bankruptcy; lead coverage counsel to the ASARCO Asbestos Personal Injury Settlement Trust that emerged from the bankruptcy proceeding. Representative actions included recovery of substantial insurance proceeds in confidential settlements from multiple insurance companies. Successfully reopened pre-petition insurance settlement as fraudulent conveyance; thereafter, prevailed on appeal to federal district court and achieved new settlement post-petition. ASARCO, Inc., et al. v. Fireman's Fund Insurance Co., (105th Jud. Dist., Tex., Nueces County). Lead counsel to plaintiff mining company in third-party liability coverage action which produced landmark decisions for policyholders on defense costs outside of policy limits (June 2009), the scope of an asbestosis exclusion (March 2009), choice of law (2008 and 2004) and other key coverage issues. ASARCO LLC v. United States (see above, plus U.S. District Court, D.C.). Represented ASARCO in post-confirmation lawsuit alleging fraud-on-the-court due to EPA’s destruction of evidence that could have altered ASARCO’s environmental liability in bankruptcy proceeding; recovered non-confidential settlement of $15M. Bausch & Lomb, Incorporated v. Utica Mutual Ins. Co. (Maryland Court of Appeals). As lead counsel to plaintiff supplier of eye health products in insurance coverage dispute involving environmental liabilities, argued successfully before Maryland’s highest court on issues of “all sums” liability and proof of damage during multiple policy periods; achieved remand that led to prompt resolution of multi-year dispute. See Bausch & Lomb, Incorporated v. Utica Mutual Ins. Co., 735 A.2d 1081 (Md. 1999). AstenJohnson, Inc. v. Columbia Casualty Co. et al., (U.S. District Court, E.D. Pa.). One of three trial counsel to plaintiff following the Third Circuit's reversal and remand of an initial judgment of non-coverage; case resolved in 2010 prior to a scheduled re-trial,. See AstenJohnson Inc. v. Columbia Cas. Co. et al., 562 F.3d 213 (3d Cir. 2009). First Mariner Bank v. The Fidelity & Deposit Company of Maryland (Circuit Court for Howard County, MD). Lead trial counsel to First Mariner Bank in jury trial of insurance coverage dispute arising from breach of a surety bond. The verdict for First Mariner followed a series of favorable rulings prior to the trial date, including the granting of partial summary judgment to First Mariner, the denial of summary judgment to defendant Fidelity & Deposit Co., the denial of defense motions to reconsider both decisions and the denial of a defense motion for interlocutory appeal. Janart 55 West 8th LLC v. Greenwich Insurance Co., (U.S. District Court, S.D.N.Y.). As lead counsel to plaintiff building owner, obtained a favorable ruling on summary judgment which marked the first time that a New York court applied the “no indoor pollution” precedent to a first-party policy. See Janart 55 West 8th LLC v. Greenwich Insurance Co., 614 F.Supp.2d 473 (S.D.N.Y. 2009). Travelers Indemnity Co. v. Dammann & Co., Inc., et al., (NJ Superior Court, Law Div., Middlesex County). As lead counsel to defendant export-import company in food industry, made favorable law for policyholders seeking coverage for allegedly defective food products. See Travelers Indem. Co. v. Dammann & Co., Inc., 594 F.3d 238 (3rd Cir. 2010). Chickasha Cotton Oil Co. v. Houston General Insurance Co. et al. (Hunt County, Texas). Lead counsel to plaintiff manufacturer of cottonseed oil; established favorable precedent on many key issues, including the pollution exclusion, lost policies, and bad faith. See Chickasha Cotton Oil Company v. Houston General Ins. Co. et. al., 2002 WL 1792467 (Tex. App. Dallas) (2002). Aetna Ins. Co. et al. v. Esselte Corporation (U.S. District Court, S.D.N.Y.). Lead trial counsel to office products manufacturer with regard to self-funded employee benefit plan; obtained jury verdict in favor of the plan in April 2005, along with reimbursement of legal fees it incurred in defending against the lawsuit filed by Aetna in its dual capacities as third-party administrator and stop-loss insurance company. Niesenbaum v. AXA/Equitable Life Insurance Co. (N.Y. Supr. Ct., Nassau Cty). Lead counsel to plaintiff physician in coverage action against disability insurance company; achieved confidential settlement after defeating summary judgment motion filed by insurance company seeking dismissal of bad faith count under Bi-Economy. See Niesenbaum v. AXA/Equitable Life Insurance Co., 2015 NY Slip Op. 32538 (N.Y. Supr. Ct., Nassau Cty 2015). Cohen v. Standard Ins. Co. (U.S. District Court, E.D. Pa.). Lead counsel to plaintiff law partner; obtained summary judgment for policyholder, including attorney’s fees, in ruling that insurance company’s refusal to pay disability claim was arbitrary and capricious. See Cohen v. Standard Ins. Co., 155 F. Supp. 2d 346 (E.D. Pa. 2001). Kodsi v. Empire Blue Cross (N.Y. Supreme Ct., N.Y. County). Lead counsel to plaintiff physician arising for suit alleging wrongful termination by insurance company in retaliation for physician challenge to non-payments by insurance company; obtained ruling from NY State Supreme Court that it violates NY law for PPOs to terminate providers without cause. Counsel to numerous corporations and foreign embassies regarding self-funded benefits plans, self-administered insurance policies and self-insurance arrangements, including securing recovery of unpaid sums without resort to litigation, avoiding payment of sums not owed by the corporations or their plans, and analyzing SPDs, administration agreements, stop-loss insurance policies and related documents. Counsel to Hercules, Inc. in government contracts dispute before U.S. Supreme Court regarding government-compelled manufacture of Agent Orange during Vietnam War. See Hercules, Inc. v. U.S., 516 U.S. 417 (1996). Counsel to W.S. Kirkpatrick & Co., Inc. in unfair competition case that raised issues of international law and separation of powers. See W.S. Kirkpatrick & Co., Inc. v. Environmental Tectonics Corporation, International, 493 U.S. 400 (1990). ERISA Preemption: Going, Going...Almost Gone? Insurance Recovery for Environmental Liabilities: Navigating Occurrences, Triggers, Exclusions and Covered Damages? May It Please The Court: Insurers v. Policyholders ... And Other Catastrophes!